Ito Japanese Restaurant is a casual venue offering fresh food, an extensive menu, and filling meals under $20. 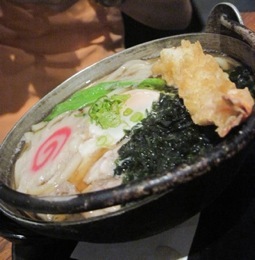 Located at 122 Bourke Street, Ito offers affordable Japanese food in Melbourne CBD. Choose to relax and dine in a dimly lit booth or watch the Sushi chef create masterpieces while you eat at the sushi bar. 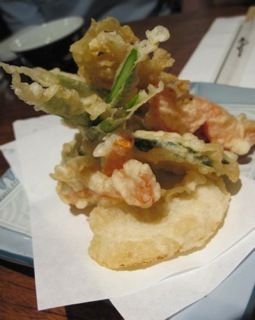 Start with warm sake and sharing patters of sashimi, gyoza and seafood tempura. These arrive as generous serves, enough for a light meal, but I recommend to continue with one of the many main menu options such as soba, ramen, rice dishes, teriyaki, sushi, and bento boxes. 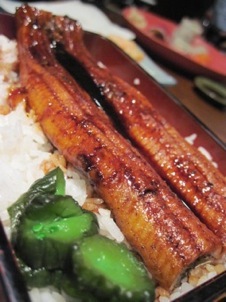 My favourite being the Unagi Don. Having vegetarian and gluten free options, as well as the usual Japanese favourites, and being easily accessible by public transport, Ito is a much loved venue for a quiet dinner. [ADVERT]Ito is open seven days a week from noon til 10pm, and is a place where you can bring a date, group of friends, family, or just treat yourself. The polite and friendly waitresses will ensure your meal is enjoyed in a relaxed and unhurried pace, and are more than happy to take photos of you and your friends! I am always on the look out for Japanese restaurants in the city, so if you have a favourite one, I would love to hear about it! Looks like a nice place. The tempora seafood looks really good.